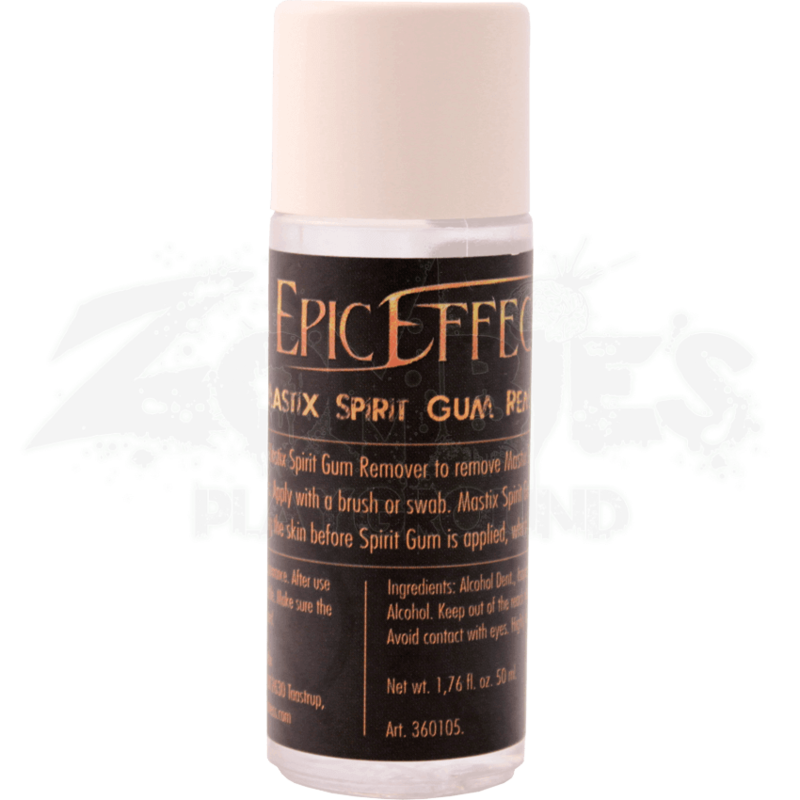 Spirit gum goes on quick and easy, but the strength of the adhesion makes it difficult to remove unless you have some of our Epic Effect Mastix Spirit Gum Remover handy. In that case, removing spirit gum is swift and simple. 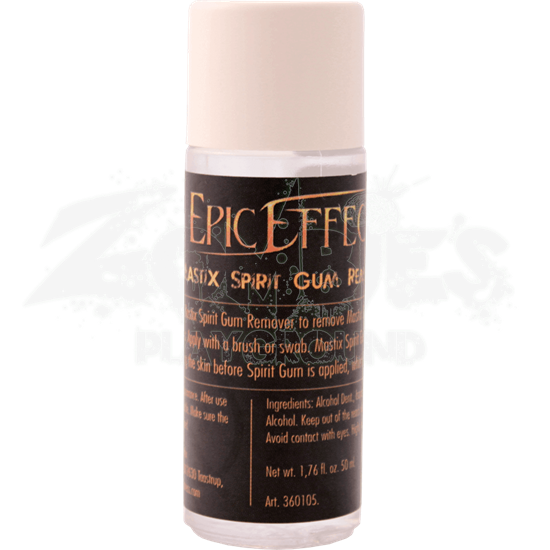 Not only is our spirit gum remover perfect for getting strong adhesives off your skin without any painful tugging or tearing, but it also makes removing your prosthetic in one piece easy, allowing you clean it and re-use it at a later date! Mastix spirit gum remover is best applied with a brush or swab, gradually working it under the latex appliance or onto the skin where the spirit gum is located, so that it will dissolve the spirit gum. Mastix spirit gum remover is also a great cleaning agent to use when cleaning your latex appliances. Finally, cleaning your skin with the remover before applying spirit gum to your prosthetic will often result in a stronger, more reliable hold. Our Epic Effect Mastix Spirit Gum Remover comes in a 50mL container and is an absolute must-have when it comes to wearing latex appliances.